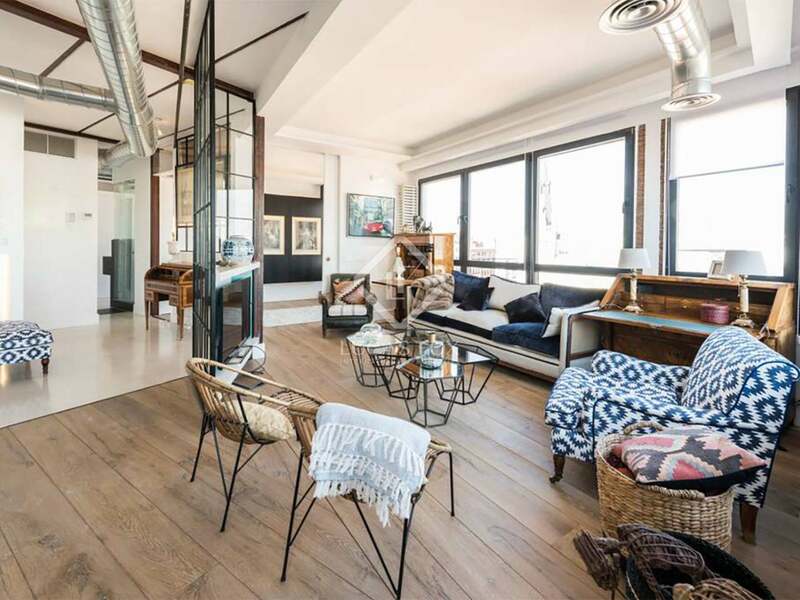 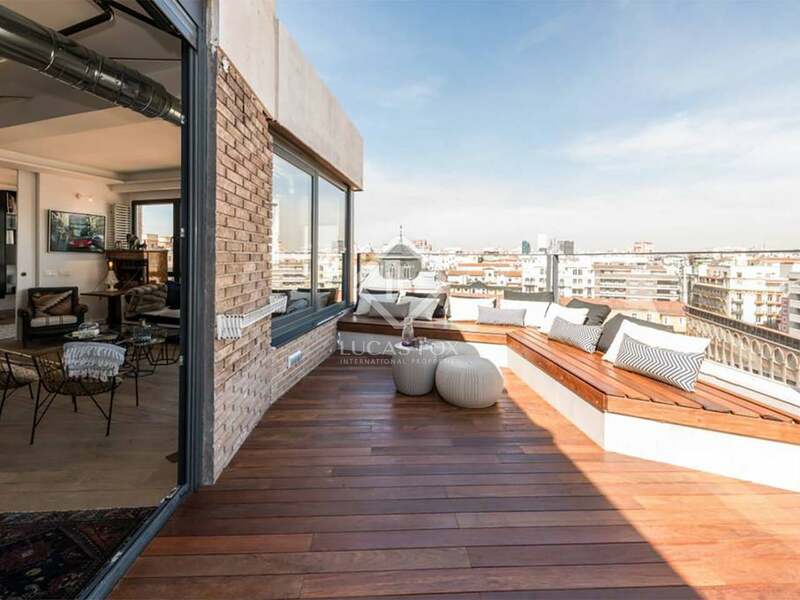 Exceptional architecture prize-winning penthouse with panoramic views of Madrid. 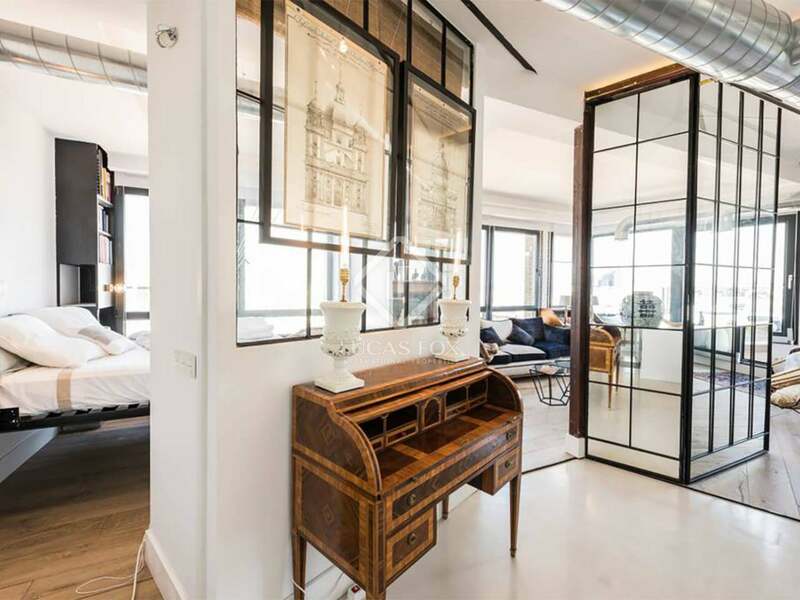 At the heart of Almagro, one of the most prestigious neighbourhoods of Madrid, we find this truly spectacular, designer penthouse for sale. 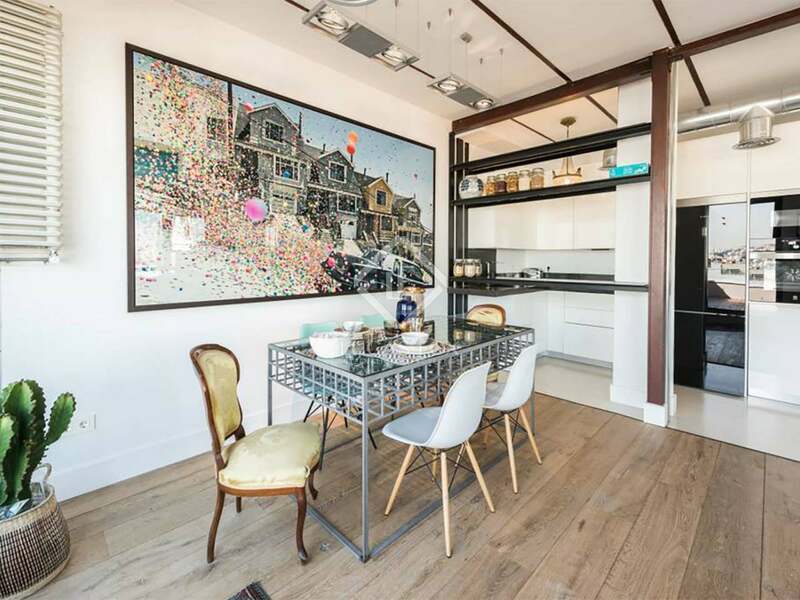 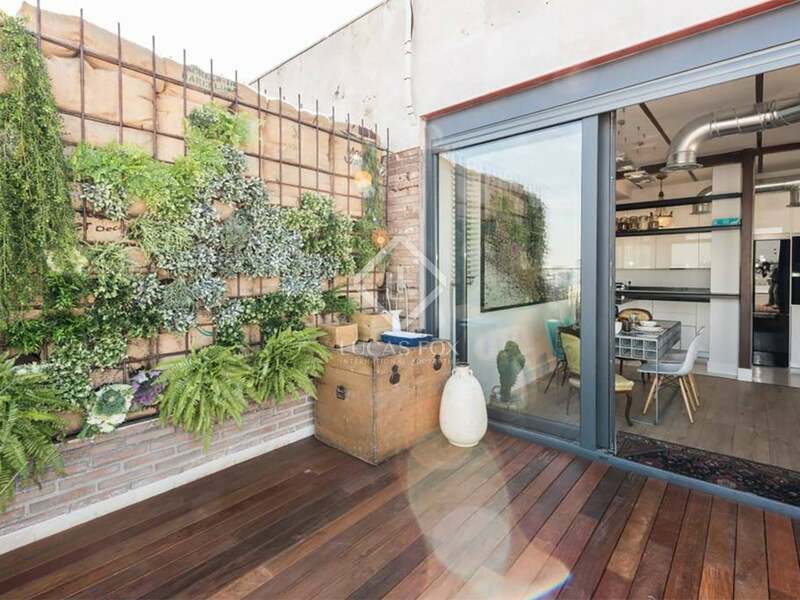 Awarded prizes by architecture magazines, this is a unique home with a comfortable layout and enviable, far-reaching city views. 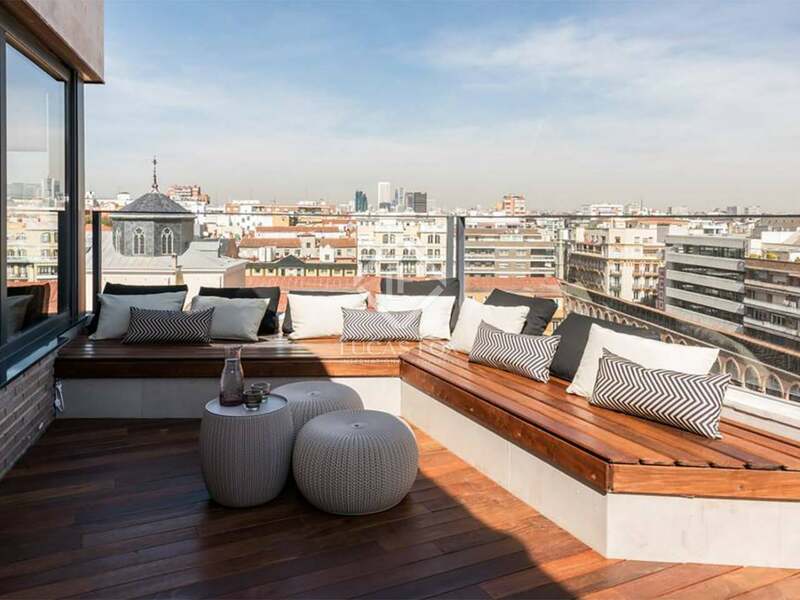 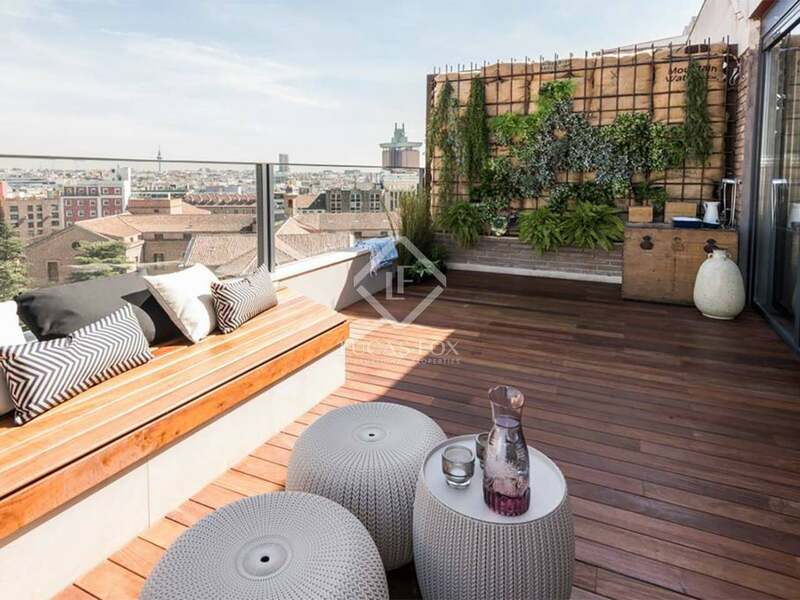 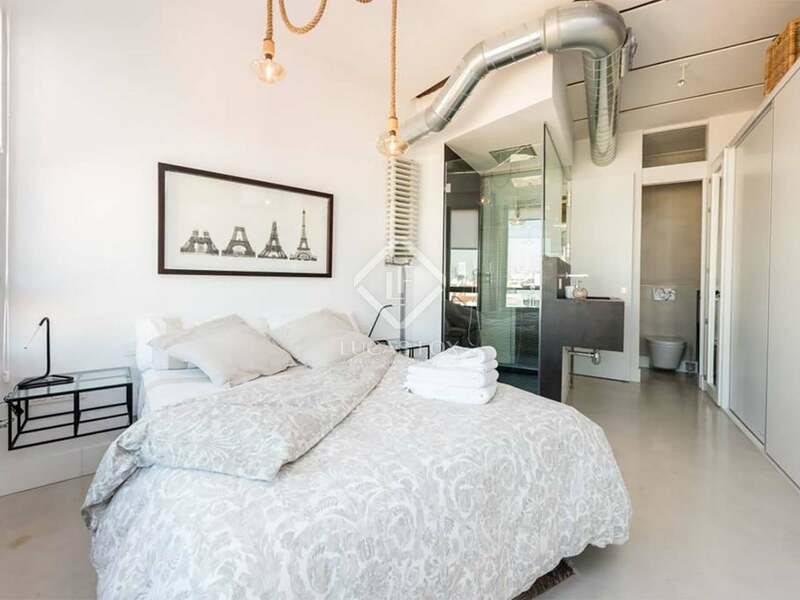 We enter the living room which has a modern open plan kitchen in the centre and provides access to the beautiful decked terrace with incredible views across the rooftops of Madrid from this seventh floor position; ideal both for sunbathing during the day and entertaining at night. 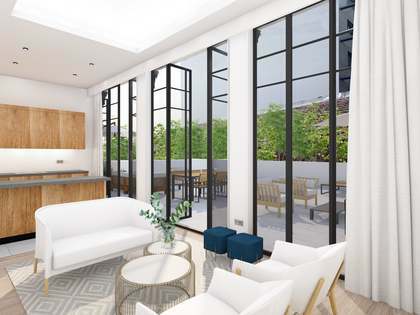 Stepping back inside we find elegant sliding doors in the living area which lead to the 2 bedrooms which each have modern ensuite bathrooms. 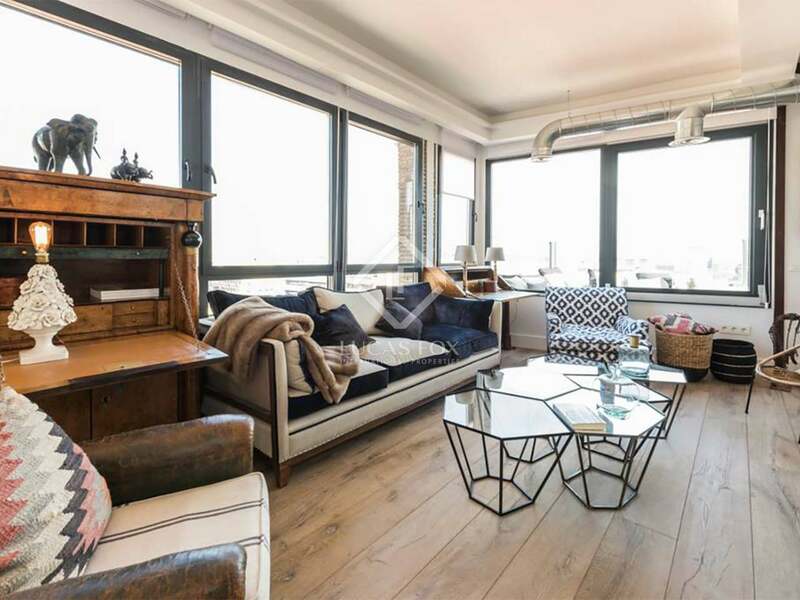 Ideal for those looking for a very special, bright property with chic designer finishes and unbeatable views. 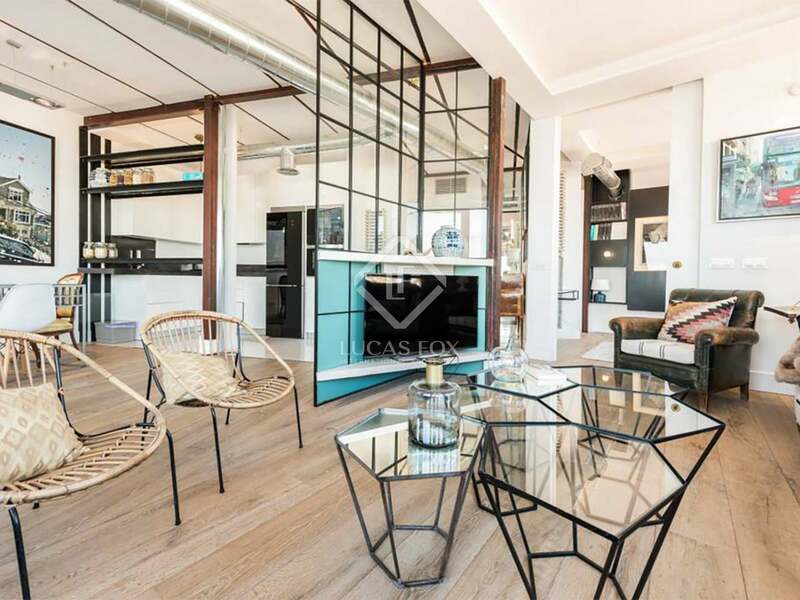 The rental yield on this apartment last year exceeded 6 %. 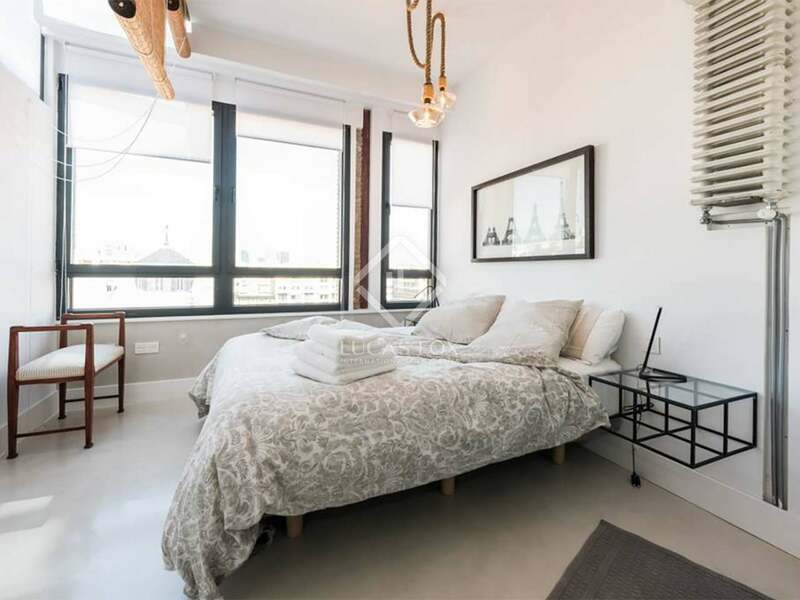 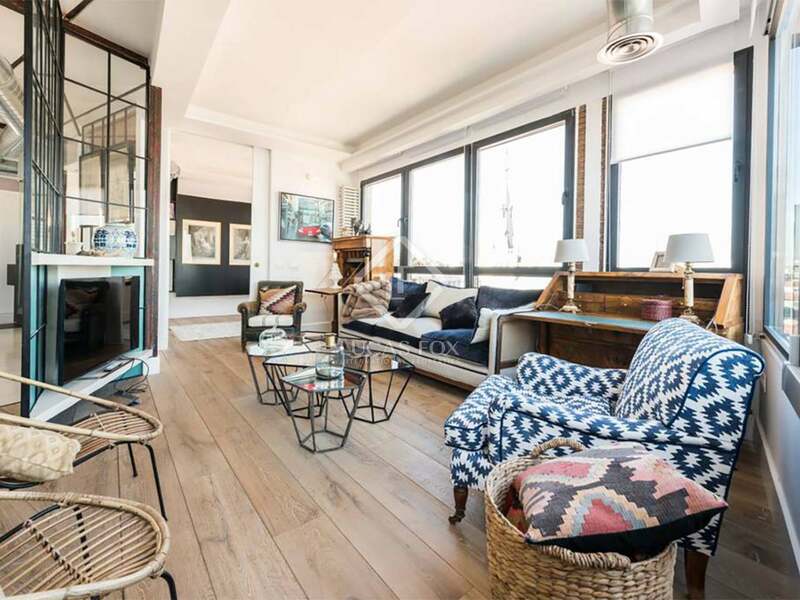 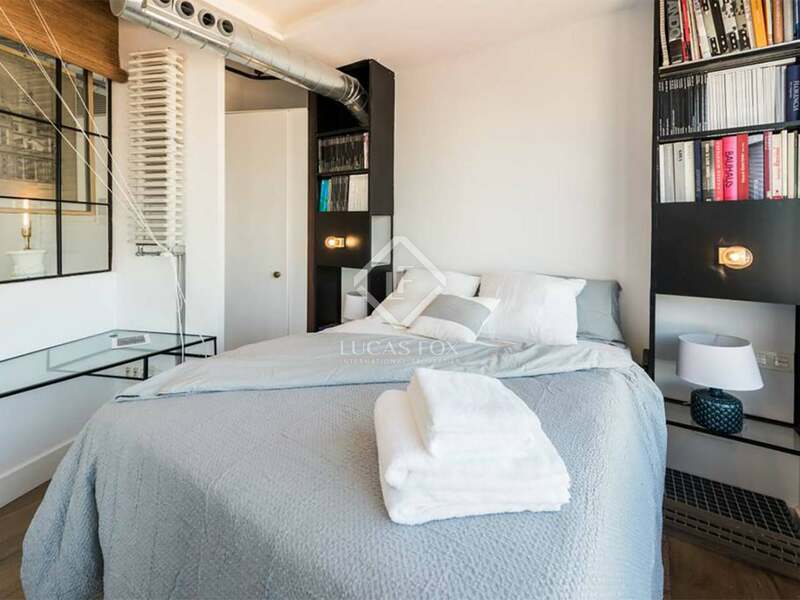 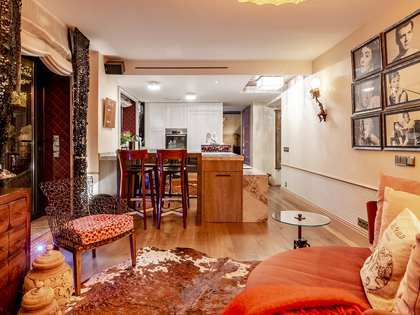 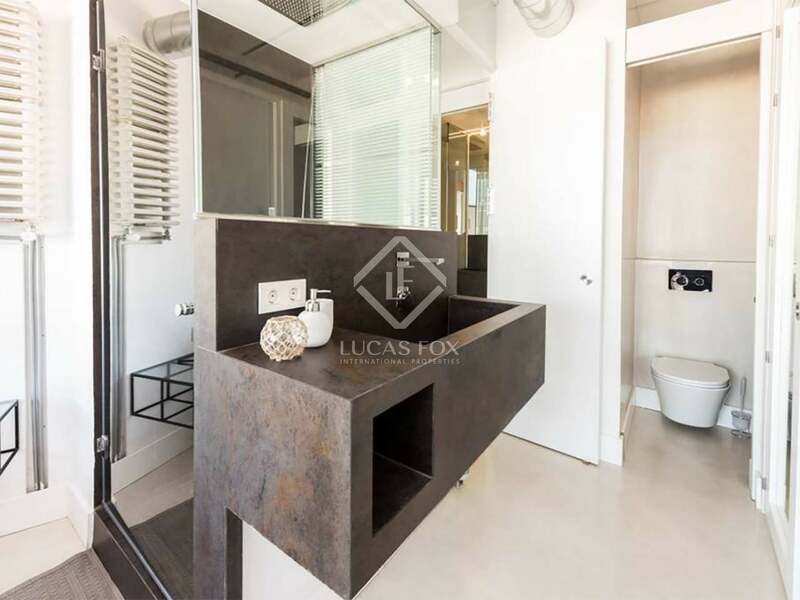 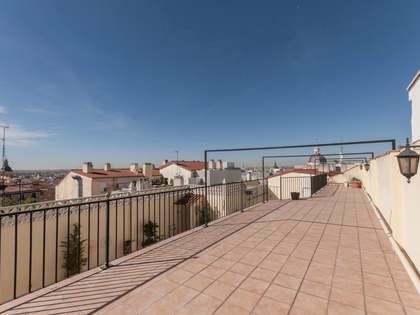 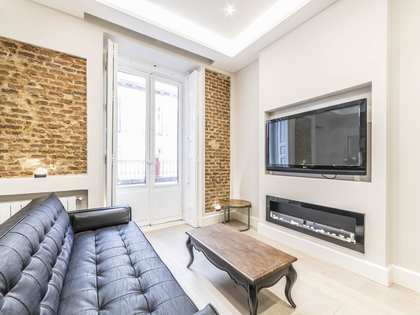 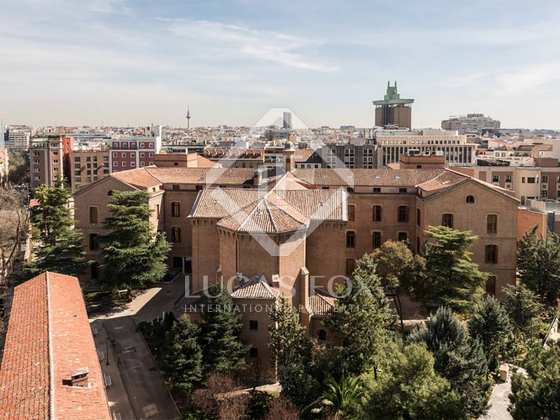 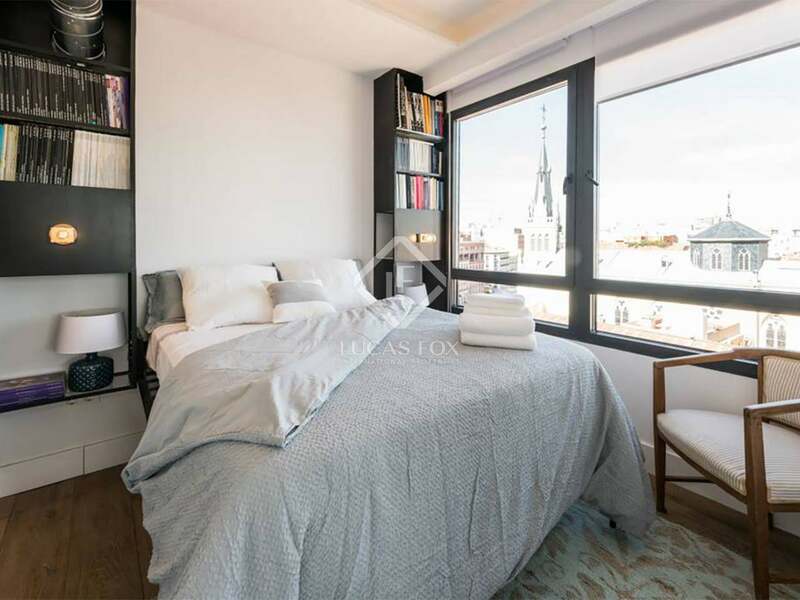 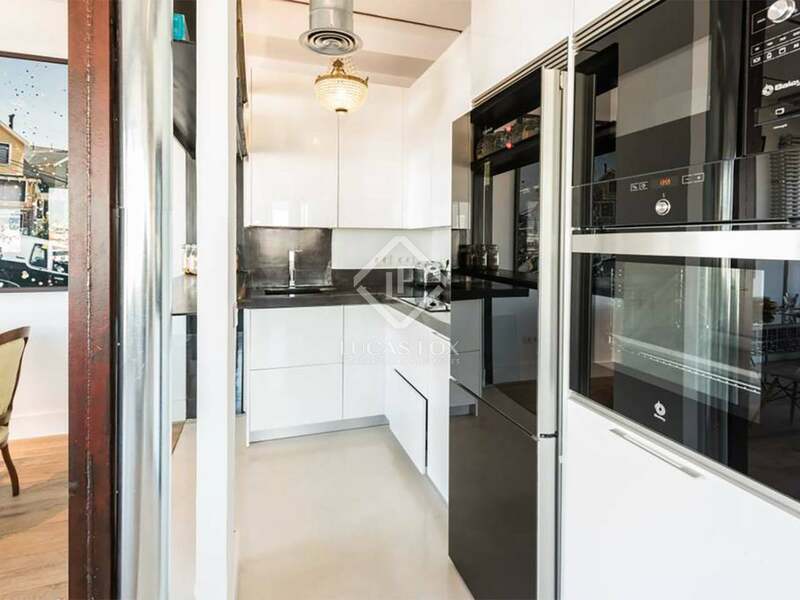 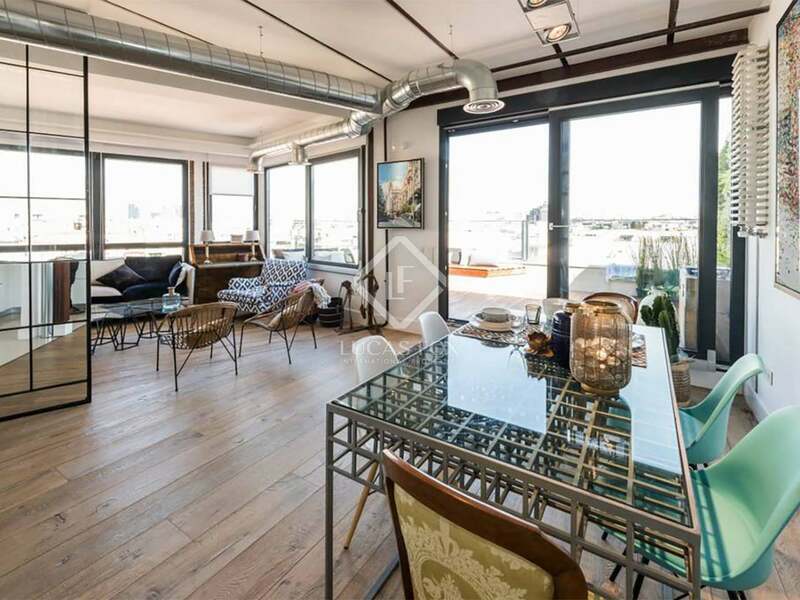 Property located at the heart of the upmarket Almagro neighbourhood of Madrid. 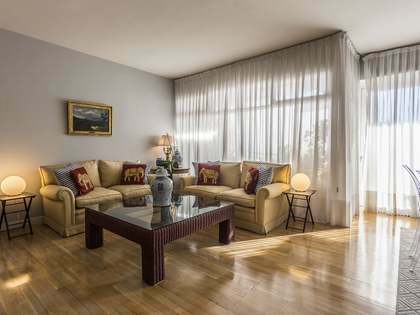 This is a prime city centre location with all services and amenities on the doorstep.